Currently, Windows insider team is testing Windows 10 Redstone 2 PC build 14956.1000 and mobile build 10.0.14956.1000. 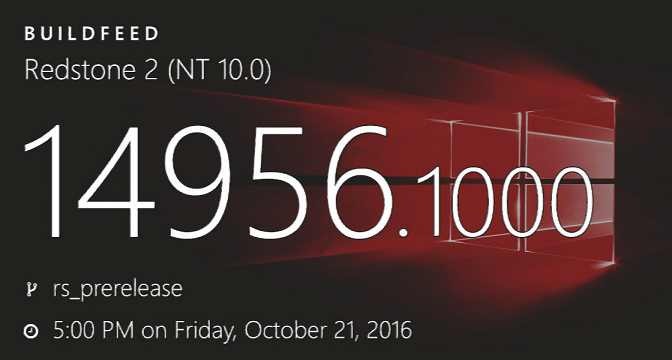 The internal build 14956 is compiled on October 21, 2016. The cumulative update build 10586.639(Threshold 2), and build 10240.17157(Threshold) is also under testing.